Something we all do no matter where we are from or how old we are is urinate. Like bowel movements, It is a natural part of life and we should make sure it is happening naturally. What do I mean by naturally? You should make sure your patient is urinating often enough and also make sure it looks like it should. How often should we urinate exactly? It highly varies from person to person and even day by day, but at least a couple times a day. If they are going less, you need to be concerned. At the other end, if they are going every few minutes, you should be concerned as well. 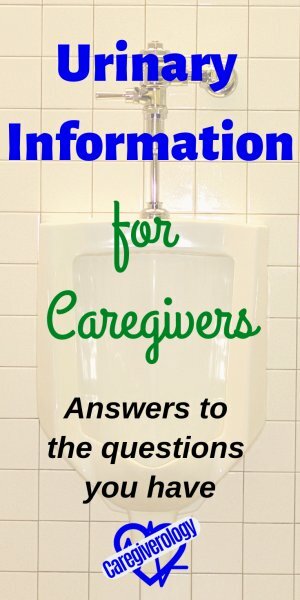 Some patients are incontinent of urine, especially if they have dementia. If they are, always check to make sure they are going and keep them dry. Even if your patient is normally continent but hasn't gone in awhile, check to make sure they didn't urinate without noticing. At the hospital, patients sometimes have an accident without realizing it and tell me that never happens. I just have to tell them it's okay and remind them they are getting lots of medications and IV fluids which can affect them in many different ways. It sounds like common sense but think of it this way. Whatever your patient is drinking, the same amount should be coming out. Working at a hospital, I sometimes have to keep a strict recording of this data. They call it monitoring their "Intake and output" or "I & Os". If you need to keep track of how much your patient is urinating or "monitor their I & Os", there are items that make it pretty easy to do. If your patient urinates in a toilet or bedside commode, you can place what we call a "hat" in the toilet. Yes, I said hat (see picture above). It's shaped like one and goes inside the toilet so it catches the urine. It has measurements on its side so you can accurately measure the amount of output. Other devices you can use are urinals which also has measurements on the side of the container. 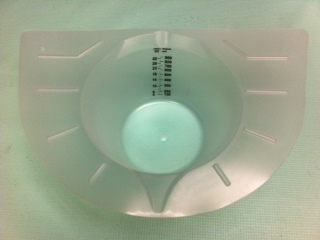 If your patient uses a bedpan, you can empty the contents into what we call a graduate, which is a container that has measurements on its side. Foley catheters actually have measurements right on the bag so you can keep track of how much they are urinating. Although from my experience, these measurements are not as accurate as using a graduate. It is best to empty the contents into one and then measure. 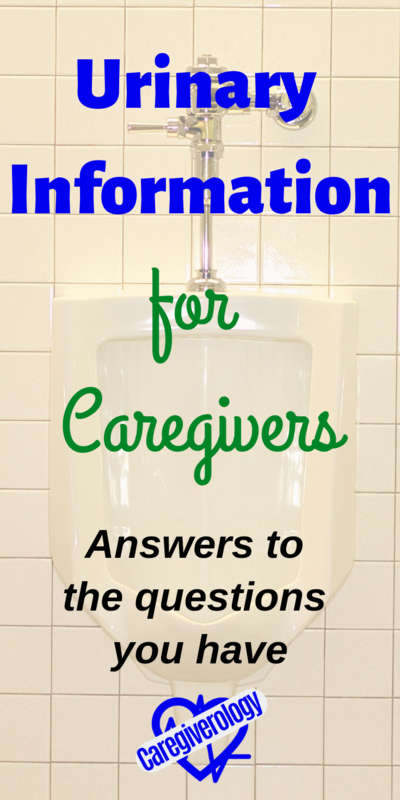 When your patient urinates, you should sometimes, if not every time, see what it looks like. It should be clear with a hint of yellow. If something seems out of the ordinary, then you should seek medical attention or, if you work in a hospital, let that patient's nurse know. If it is orange or brown, the patient may be dehydrated. If it is red or pink, then there is blood in the urine which is not normal. Unless of course, the patient is female and is on their cycle or they are having a continuous bladder irrigation (CBI) done. Believe it or not, I have told the patient's nurse about blood in the urine just to be told that they were on their cycle. Typical male caregiver mistake. Don't be afraid to ask them just to be certain. If the urine is cloudy, the patient may have a urinary tract infection or UTI. What do I mean by cloudy? If it looks white and you can't see through it, there's a good chance they have a UTI. However, just because the urine looks normal doesn't necessarily mean a UTI is out of the question. There are many different physical and even mental things to look for. If the urine has a very strong smell to it, that is also not normal. Of course all urine has a smell, but if you can smell it all the way on the other side of the room or if it just smells differently than usual, take action. 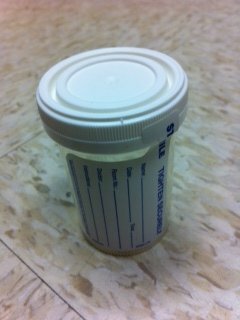 At the hospital, I often have to collect a urine specimen and take it to the laboratory. If you have to do this, make sure it is done right. What do I mean by that? Make sure the container used to collect the specimen is a new one. You may have to transfer the urine from a bigger container, such as a bedpan, to a smaller one. If you do, make sure the bigger one is a new one as well so the specimen is pure. Just make sure your patient didn't have a bowel movement or toilet paper mixed with the urine. After that, you should put the patient's label on the container and write the time, date, and your name or initials on it. Then you should make sure it gets to the laboratory safely in a tiny biohazard bag in less than two hours. If these things are not done, the specimen will not be accurate. Here at the hospital, we have a machine called a bladder scanner. What does this machine do? 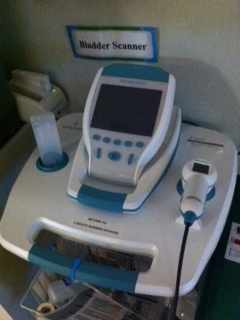 Exactly what it sounds like, it scans a patient's bladder to determine how much urine is inside. Just don't expect to have one in your home unless you are willing to pay a lot for it. I have personally used one and it is fairly simple. The main issue people seem to run into is having it on the wrong setting. There is a setting for male, female, and child. Double check before scanning. You should also use the male setting for females that have had a hysterectomy. Why would you scan a patient's bladder? If they feel the urge to urinate but can't or if they haven't gone in a while, it may be a good idea to check if there is even anything in their bladder. This is especially true if they have been drinking often or have fluids running through an IV. Having one or more of these symptoms is a likely cause for concern and should be notified to a physician for further investigation.